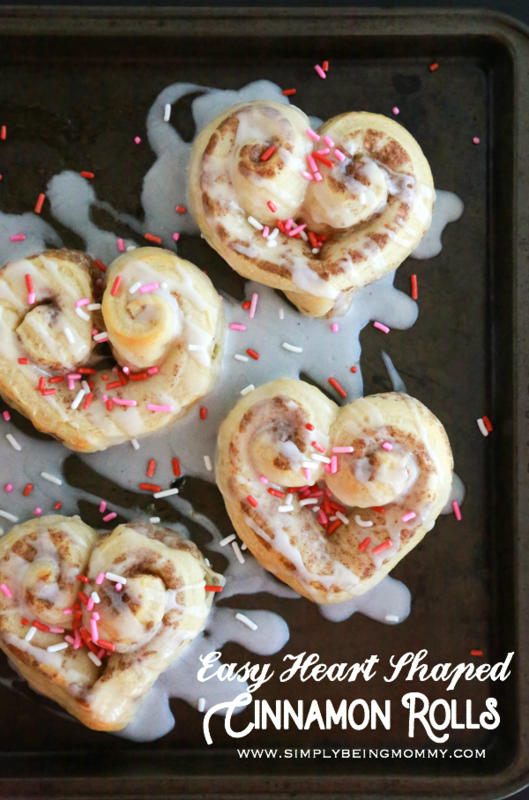 These Easy Heart Shaped Cinnamon Rolls are super cute, easy to make, and perfect for a special Valentine’s Day breakfast. Another easy recipe, y’all! 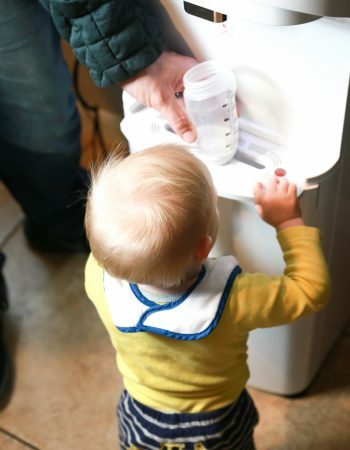 You know, because easy is just the way to go when you’re running a busy family, right? Of course it is! And honestly, there should be no shame in the easy game. Being a blogger means that on many occasions we start celebrating a holiday much earlier than everyone else. But, more times than not, the family really doesn’t mind it too much. It’s just January but we are already diving into creating some Valentine’s Day snack ideas of our own that we will be sharing over the next few weeks. 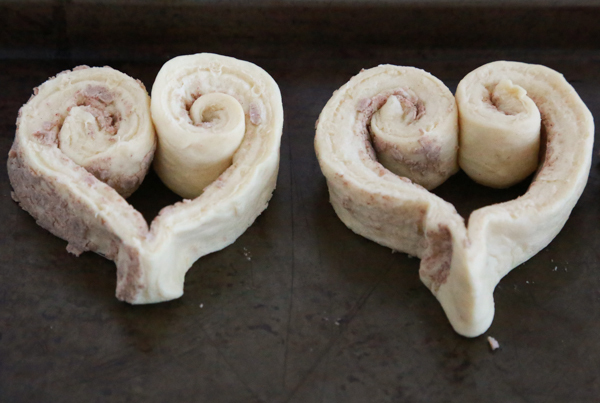 We are going to start our Valentine’s Day goodies with these Easy Heart Shaped Cinnamon Rolls. 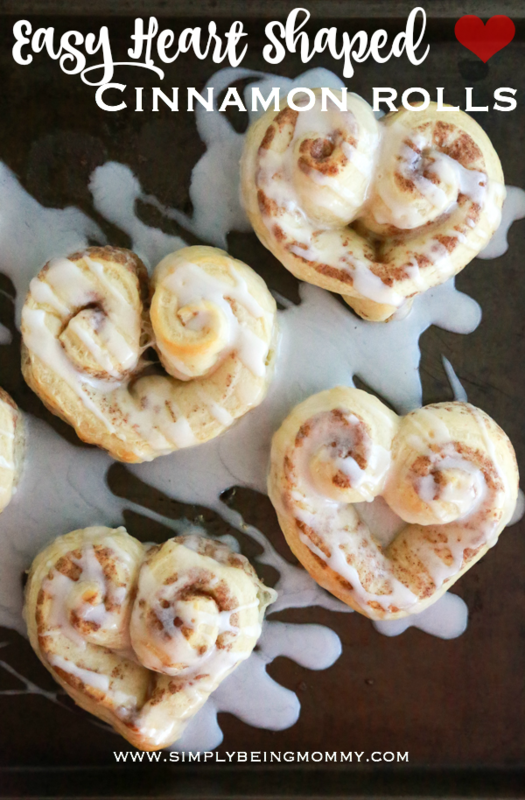 Seriously, the easiest heart shaped cinnamon rolls you’ll ever make! Easy Heart Shaped Cinnamon Rolls. Seriously the easiest heart shaped cinnamon rolls you'll ever make. Preheat oven to 350°F. Prepare a baking sheet or round cake pan by spraying with non-stick cooking spray. 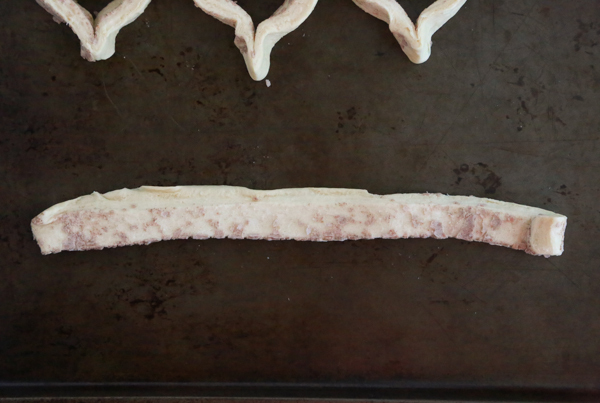 Carefully unroll each cinnamon roll into a long strip of dough, leaving one end still tight and rolled. Roll the other end of each strip in toward the center, making equal rolls on each end of the dough. 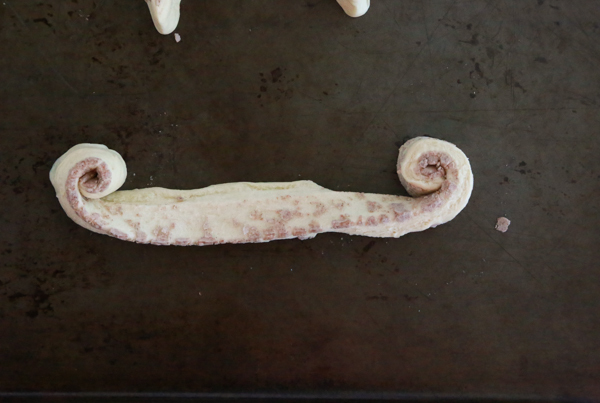 Bring the two rolled ends together towards the middle and pinch the bottom middle of the dough strip to make a point that will be the bottom of the heart. Pinch together to make sure it stays formed. Place on prepared baking sheet and bake according to the instructions on the package. When the cinnamon rolls are a golden brown, remove from oven and allow to cool for a few minutes. Drizzle with cream cheese icing and transfer to cooling rack. 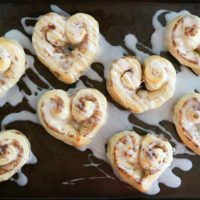 If you’re going to make these Easy Heart Shaped Cinnamon Rolls, you have to buy the Pillsbury refrigerated flaky cinnamon rolls with cream cheese icing. The other varieties of Pillsbury cinnamon rolls will not work. Trust me. I went through a couple other cans before finding these that actually unroll. So, what do you think? Easy, right? And let’s not forget how stinkin’ adorable they are!! But look how much more adorable they get when you add sprinkles. Because, sprinkles!! I’m totally in love with these Easy Heart Shaped Cinnamon Rolls. Like, seriously in love! Alright, so let me walk you through the directions with pictures in case the way I’ve written it is a bit confusing. Unroll dough keeping one end rolled. Evenly roll both ends towards each other. Bring rolled ends together and pinch the bottom to form a heart. I told you these were so easy to make! I love when I can something special for my family but not have to spend hours slaving away in the kitchen! So what do you think? 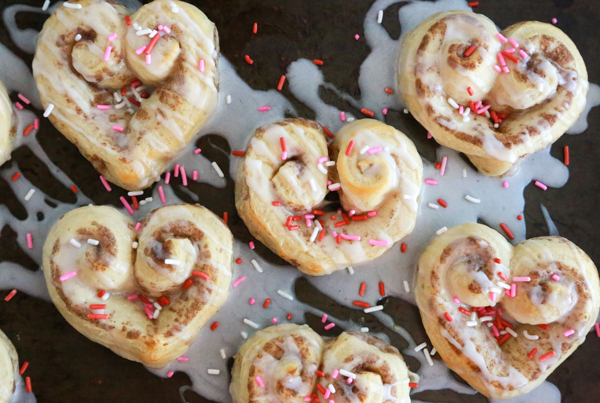 Will you be making any of these Easy Heart Shaped Cinnamon Rolls for Valentine’s Day? My hubby will LOVE these! I don’t make them often (I’m one of those rare people who don’t like cinnamon rolls) but when I do he is so happy. I’ll get these on the menu for this week, thank you! Those are so adorable! I’ll have to make these for the family for Valentine’s day. They seem fairly easy to make, too. Which means I’ll probably actually do it! These are so cute! And let’s be honest, who doesn’t love cinnamon rolls? These are so cute and they look yummy, They would make a great breakfast on Valentine’s Day. Those are absolutely adorable. 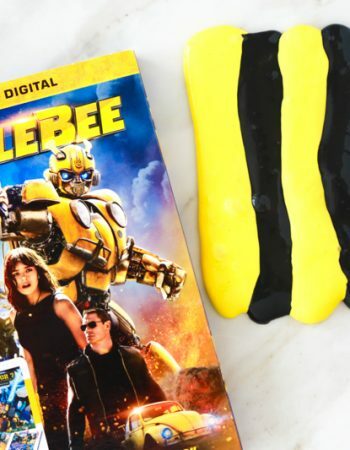 They would be great not only for Valentine’s Day, but also for an anniversary or just to say, “I love you.” Super cute and fun! Aww! I want to make some of these! We love cinnamon rolls and these are totally cute. My son would really get a kick out of these. I am going to make them for Valentine’s Day breakfast. I love cinnamon rolls and have never had them heart shaped. What a prefect way to serve them for Valentine’s Day. Oh these would be so fun on Valentine’s Day! I don’t think I have my kiddos that weekend though, so maybe I can make some and go deliver them to their Dad’s home while they are there for that weekend haha! 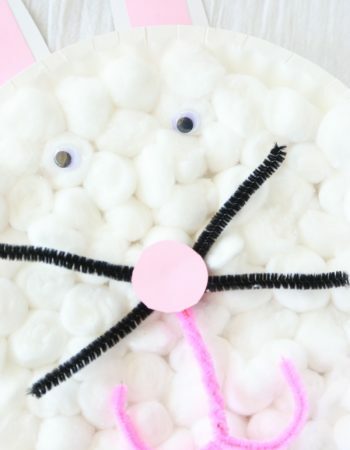 These are so cute and easy to make. 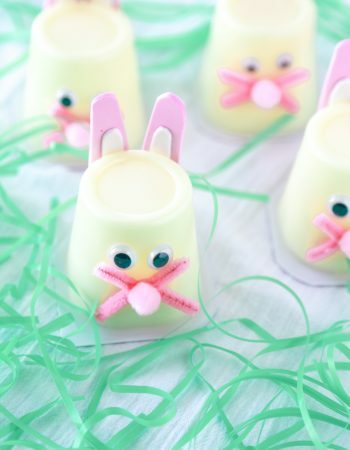 I will have to make these on the weekend and surprise the kids. They look so delicious. 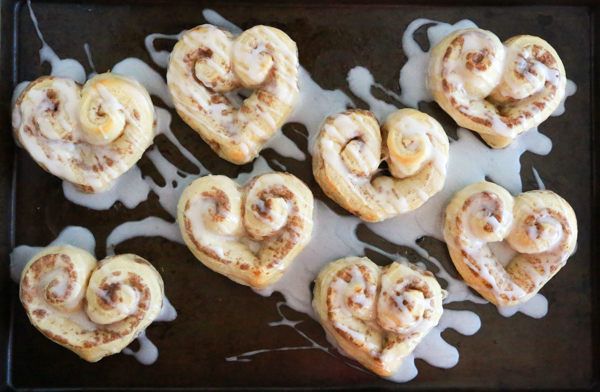 The heart shaped cinnamon rolls are adorable & look so delicious! The pink, red, & white sprinkles really make them festive. This is the smartest ‘hack’ I’ve ever seen! So simple and yet such a big impact. Genius. We do love making cinnamon rolls, this one is unique! I’m sure kids would love this idea. These are so cool and my husband would them! I need to make these for Valentine’s Day. Those are absolutely adorable! 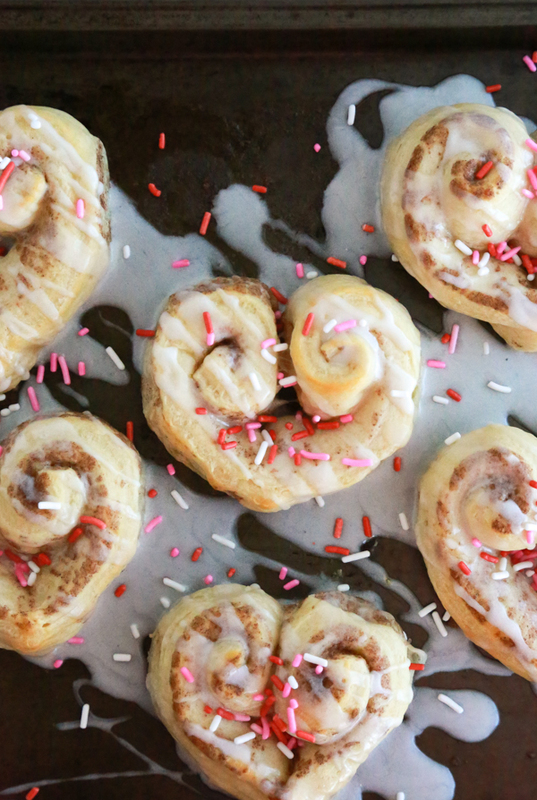 What a fun way to make Valentines Day breakfast festive. What a fantastic hack! 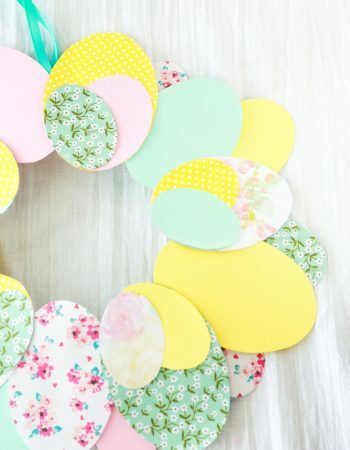 So easy, but so creative – definitely trying it! Wow I totally love it! Cinnamon is one of my favorite, for sure my hubby would also love this.